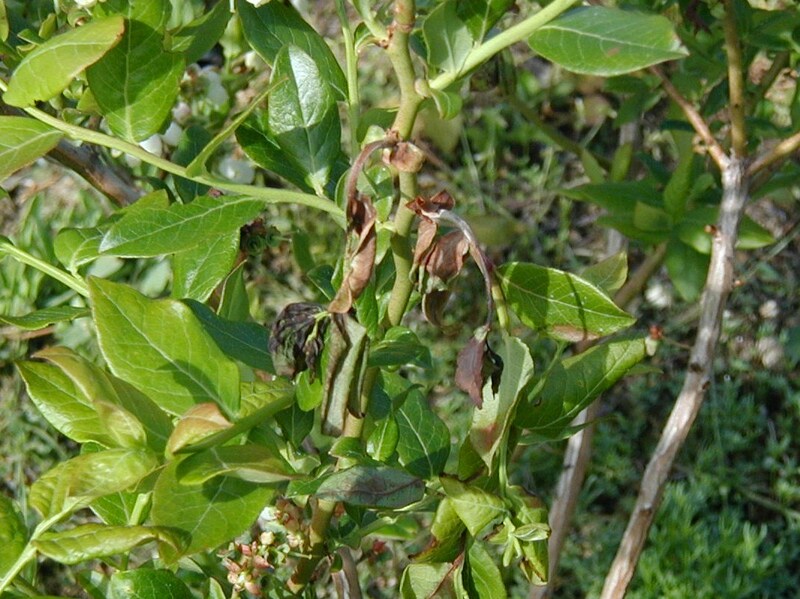 Good news…the primary season for mummy berry infection is over in Kings County! I collected apothecia cups this morning and verified that all spores had been ejected and they are no longer active and able to infect blueberry tissue. It was also very difficult to find cups at Tim Strong’s as most had already broken down and we were only able to find a few late cups. As southwest Nova is usually slightly ahead of the Valley the season should also be over there. Central and eastern parts of the province tend to be a week to two weeks behind the Valley so primary infection may still be possible in these areas. 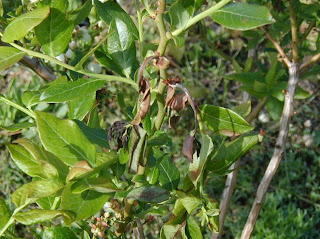 Good luck with your season and if any shoot strike symptoms (photo below) develop on your farm, please let me know.